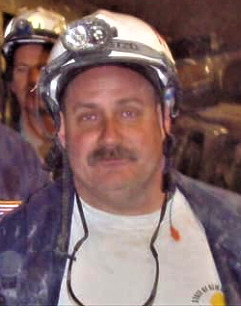 Steven A. Campbell, 51, fire fighter for the City of Elizabeth, New Jersey died suddenly on Sunday, March 31, 2019 in the Robert Wood Johnson University Hospital at Rahway, New Jersey. Family and friends are invited to the visitation in the Kowalski Funeral Home, 515 Roselle Street, Linden on Friday, April 5th. from 4:00-8:00PM. On Saturday, April 6th. from 8:00-8:30AM everyone will gather in the funeral home where a prayer service will be held at 8:30AM, followed by the funeral mass to be offered in St. John the Apostle Roman Catholic Church, Linden at 10:00AM. The prayers of committal will precede his burial in the family plot in Rosedale Cemetery in Linden, New Jersey. Steven was born in Muhlenberg Hospital in Plainfield, New Jersey and he spent his early years growing up in Edison, New Jersey. After his marriage, Steven settled in Rahway, New Jersey where he has raised his family over the past twenty-eight years. Steven’s career as a fire fighter for the City of Elizabeth, New Jersey began on January 28, 1991. To this day, Steven has been a part of Rescue Company #1, Tour #1. Steven received multiple certifications, among them, EMT, Tech Rescue and USAI. He was a first responder at 9/11 World Trade Center and he was also instrumental in many other emergency responses, not only in the City of Elizabeth, but even within multi-agency responses. Steven was a member of the USAR - NJ Task Force 1 and the FMBA Local #9 & IAFF. Steven received multiple medals of valor from the Elizabeth Fire Department, the 200 Club of Union County, the State FMBA and the IAFF. Steven was a kind and generous man. He was a great friend to many who could always count on him for anything and now he will be sadly missed by all those whose lives he touched. Predeceased by his father, James M. Campbell, Sr. on October 31, 2007, Steven is survived by his wife of twenty-eight years, Beth Ann Wilson Campbell; his three sons, U.S. Army Corporal Andrew J. Campbell and his wife, Brianna, Matthew Campbell and Steven Campbell; his mother, Helena Zarkevich Campbell; his three brothers, James M. Campbell, Jr. and his wife, Susan, Elizabeth Fire Department Deputy Chief Daniel E. Campbell and his wife, Marybeth and Edison Fire Department Captain Richard P. Campbell and his wife, Kimberly; his three sisters, Linda A. Simpson and her husband, Donald R., Karen Schreck and her husband, Kenneth and Jane M. Montagne and her husband, Robert and numerous nieces, nephews and cousins.